joes[a]fiend: PIZZA HUT HATE LATE! ADVERTISING - When a brand makes a promise, it's nice to see them show that are trying to stick to it. 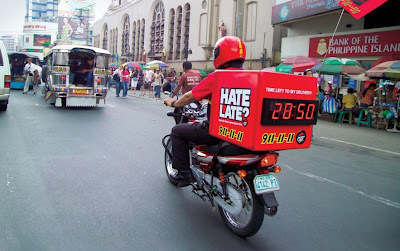 Pizza Hut in the Philippines, with the help of advertising agency BBDO, placed large LED timers on selected delivery bikes to draw attention to their 'on-time delivery promise'. We'd love to know what happens if the pizza doesn't arrive on time? Does the bike explode? I wish they did this in the states! Great blog and nice to read. nice share article. and nice info :) I wanted to thank you for this great read. 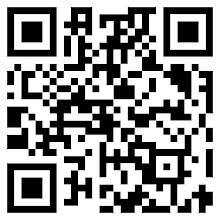 I am very pleased to find this site.